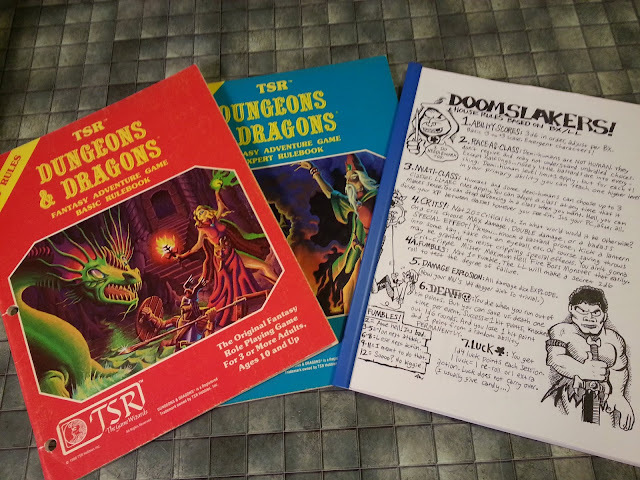 An interested reader commented on yesterday's post (re: The Spire of Woes) that it would have been nice to see the BRP (as in Basic Role Playing - Chaosium's awesome house system) stats for the residents of the Spire. 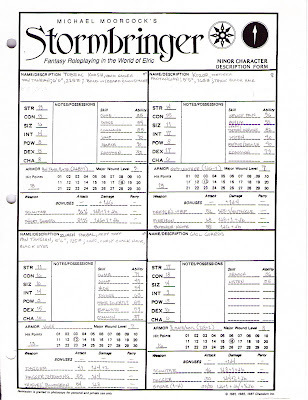 Not being one to disappoint his readership, I spent some time scanning my early 90's Stormbringer material last night. That's totally cool. And the Dr. Who reference with the Horror at Fang Rock is great. I like the place in the Forest of Troos that is literally named (dot)Org. 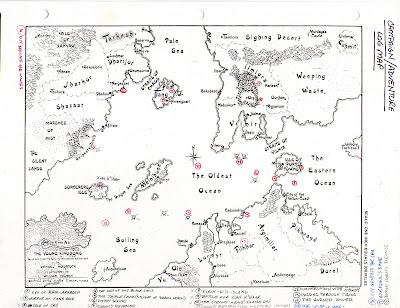 I love that map from the Stormbringer game. It makes me want to play.